Hui Fei Ngoo was born on the 20th September 1995 in Kuala Lumpur, Malaysia. Since he was very young, he was influenced by his artistic mother and talented older sister, and he started to develop an interest in music. Started learning classical piano since 7, he also participated in performances and competitions in categories including singing, story telling, poem reading, speech, stage play, musical, and many more from a young age. 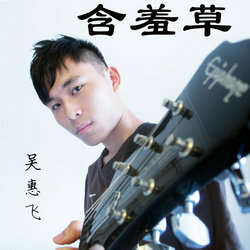 At around 12 years old, Hui Fei Ngoo started to have a huge passion in Pop Music, and started his journey in songwriting. Due to his father’s work, he moved to Australia along with his family and spent his high school days in Perth since he was 13, and his passion for music only grew stronger. Engineering was his course of choice at the University of Melbourne, and he again moved to Melbourne with his family. Focusing on his studies by day and composing by night, Hui Fei Ngoo hoped one day he could shine in the music industry one day. Today, Hui Fei Ngoo is 20 years old, has graduated from university, and is spending all his energy and focus on his music!